Fresh from a busy week of shows in Miami and with his last single ‘Pogo’ continuing to work well in his sets, Laidback Luke is back with his next single for Mixmash and this time he has teamed up with fellow Dutchman Hardwell. Having played to crowds at Ultra Music Festival with the new collaboration, which racked up over 5,000 plays within an hour of a clip going online and has since amassed over 100,000 within a week, they are now ready to unleash ‘Dynamo’. 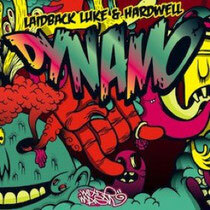 ‘Dynamo’ is as explosive as the name suggests and shows that two heads can be better than one. A combination of big, anthemic synth riffs, pounding bass and driving percussion, this should be a biggie. It’s out April 22, check it out below.